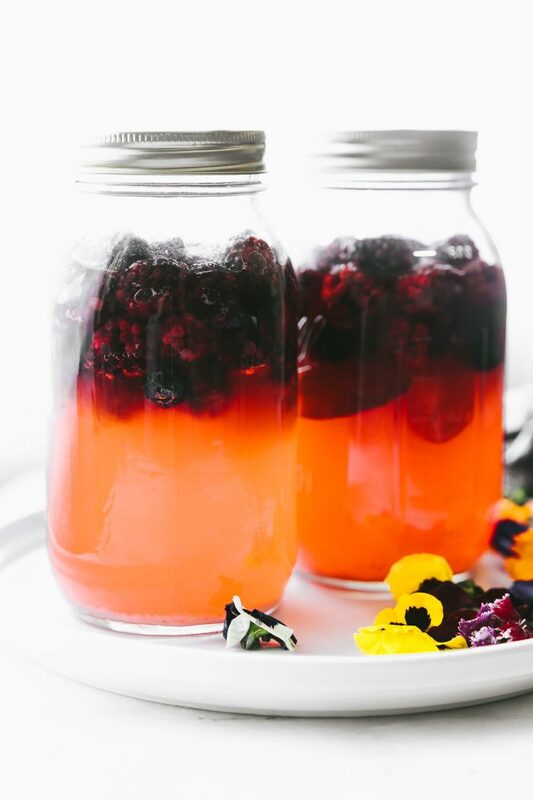 This homemade Fruit kvass with berries, lime, and mint is a gluten free version of a popular Russian fermented drink. Loaded with probiotics, it’s a refreshing, tangy, bubbly drink that you can make right at home. An invigorating and fruity way to get more probiotics in your life! And here we go, the third “gut healthy” recipe! 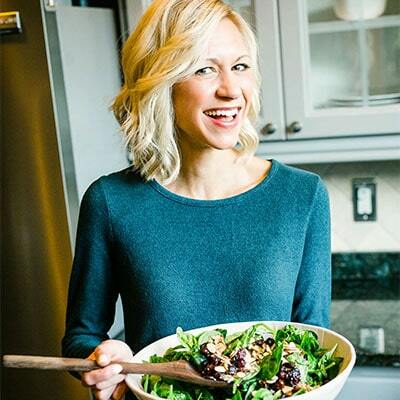 In cased you missed it, I’ve “accidentally” been focusing on gut health specific recipes. It all began with the cheater’s apple kimchi salad, then the detox broccoli salad, now this fruit kvass. I have about 3 more to round up in the next week or so. Sound good? Cool. Cause your gut will thank you. At least I hope! Now, let’s focus in on this bubbly fruity drink right here. Confession. I may have developed a slight kombucha addiction. I LOVE that it’s a probiotic, but I don’t love paying upwards of $5 a bottle. Aaaand since we’re relying on one income right now, I thought making it at home would be the responsible thing to do, am I right? But kombucha can feel intimidating to make. Although, it really just takes patience. Just see my original “how to make a scoby” recipe post from way back when! Anyways, we’re trying to keep things SIMPLE these days, you with me? So, that’s where kvass comes in. 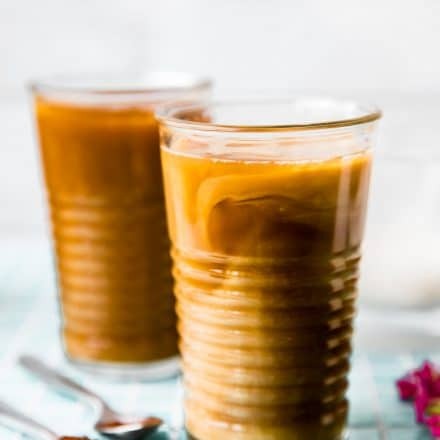 A little background to get you more excited about Kvass, because it’s going to be your new go-to refreshing summer drink, mmm k? Kvass is a fermented beverage that originated in Russia, and it’s typically made with rye bread. I kid you not, there are actual kvass trucks and Russians line up in the summer kinda like our version of the ice cream truck. Pretty sure the kvass truck will never replace the ice cream truck here, LOL! This version is made with fresh 3 kinds of berries (yes, more berry love), lemon, mint, and raw honey. Sounds delicious already! And even though it’s grain free, it’s still got all the GOOD probiotic qualities. It ferments on the counter for about 5 days in an air-tight glass container. You’ll have to shake it a few times to prevent mold, but that’s IT! Once the fruit looks cooked, strain and pour yourself a tall glass of kvass. I’ve even got the kiwi hooked! Now I’m going to nerd out on you, because I want y’all to know how nutritious kvass is, mmm k? The probiotics in kvass populate your gut with healthy bacteria, improving intestinal tract health and crowding out all those bad microbes. And you know how much I hate those bad microbes! After what I’ve been through with my digestive issues, I’m seriously ALL about getting in my probiotics! Another added bonus, probiotics stimulate and enhance the immune system. Goodbye Summer cold! Hold on, ‘cause there’s even MORE! 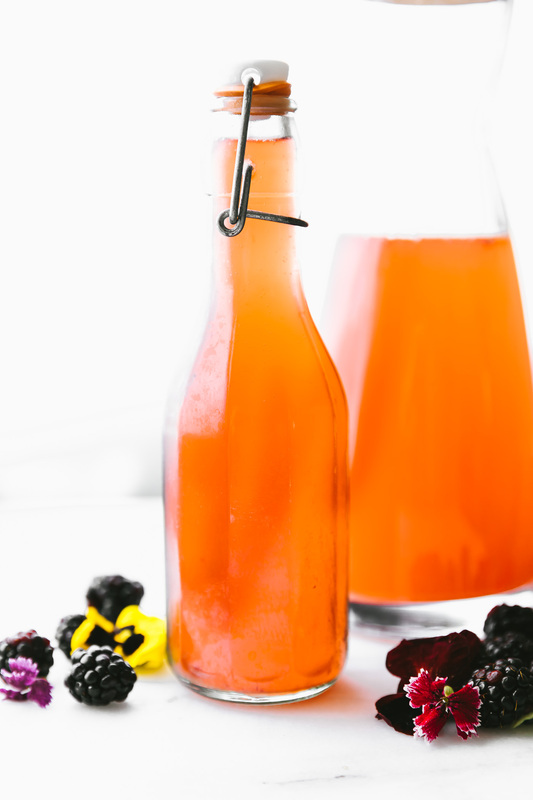 Fruit kvass is high in antioxidants. You remember all those berries and the lemon? 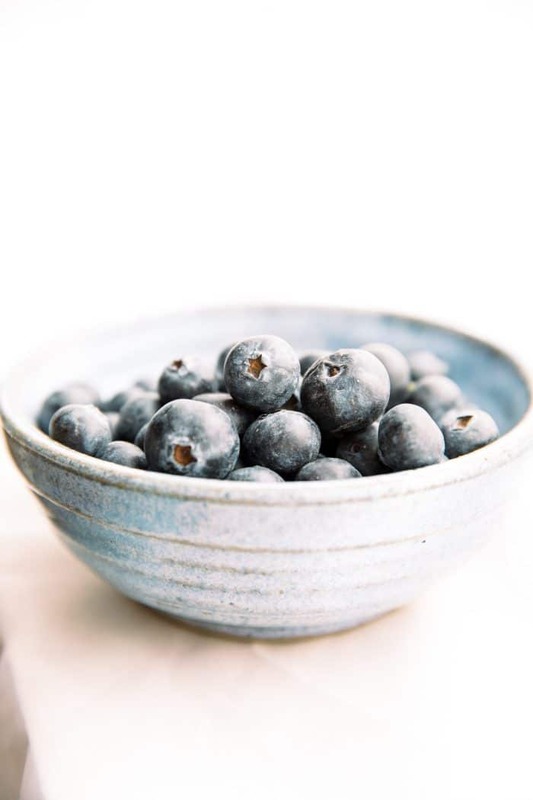 They’re ready to fight free radicals (Oxidative Stress) and boost your immune system. Ya, what’s not to love about it? Seriously, this drink is AMAZING! It’s slightly sweet, slightly acidic, a little bubbly (aka fermented fizzy goodness), and has some powerful health benefits! So go make it! The hardest thing will be waiting for it to ferment. Yes, first world problems. 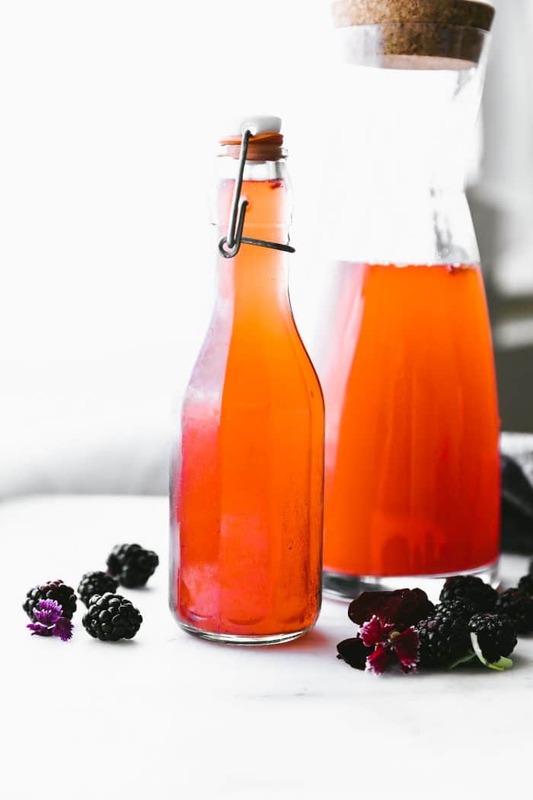 This homemade Fruit kvass with blackberry lime and mint is a gluten free version of a popular Russian fermented drink. 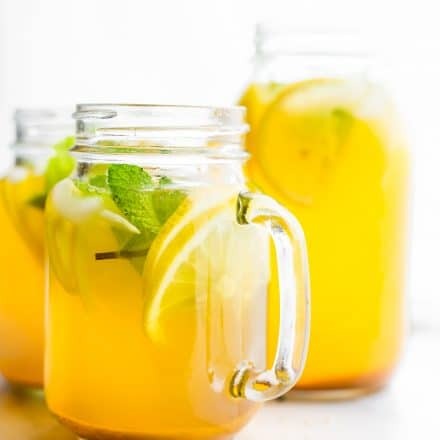 Loaded with probiotics, it’s a refreshing, tangy, bubbly drink that you can make right at home. Clean and sterilize your mason jars. Divide your ingredients into 2 quart size mason jars, or one larger mason jar. Add mint leaves last, 2 in each Jar. Cover with purified water and shake it up to mix the honey, mint, and berries together. Seal jar with lid let it sit on the counter for 2-7 days. I let it sit for 5 days. When you start to see bubbles (usually after 1 day) release the lid and let a little air out so it won’t get over carbonated. If you don’t see any bubbles, just keep it sealed until the 2nd day. When your fruit looks cooked and your brew is bubbly, open lid and strain out the fruit. Place liquid in a seal proof bottle. This is your kvass. Leave the fruit kvass liquid sealed in an airtight bottle on the counter for another 1-3 days to build up more carbonation, or just feel free to go ahead and keep in fridge. Add more mint leaves and/or berries before serving, if desired. it in the fridge and enjoy! The longer it ferments, the less sweet it gets. Taste kvass after 2-3 days on counter. If you are using a culture starter, you cut the salt in half or not use at all. 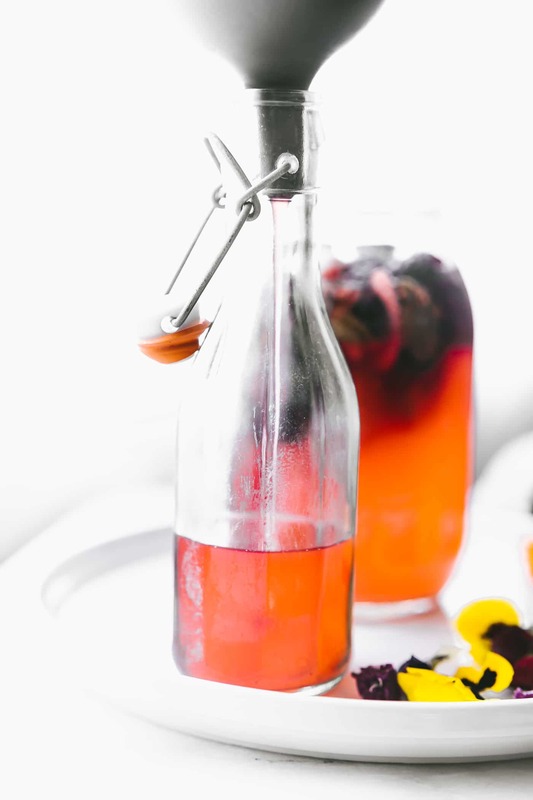 Have you tried Fruit Kvass? 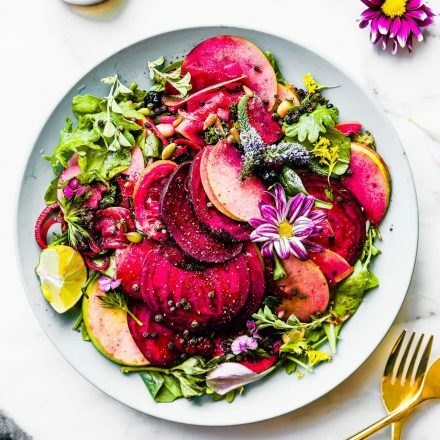 Beet Kvass? Any kind of homemade kvass? 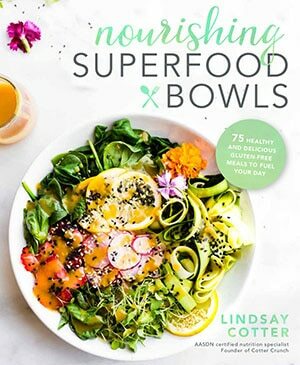 Well, dare I ask that you join me in this little “gut healthy” recipe venture? Haha, too many questions, I know! Cheers to rebooting that immune system! I have never tried a Kvass before, but this looks super refreshing! Absolutely LOVE how beautiful the color is. Looks like a sweet and tasty watermelon juice! We need a kvass making date. Just sayin.. bring the berries! This looks so refreshing! So how important is the purified water? We usually get our water from a local spring-will that work? I think that should be fine. Keep me posted on if you do try! Brother. I don’t know about Russian stuff right now… and it’s even orange-ish. LOL! Really though – I actually love Russian food. And I love kombucha. Basically, I need this. Just wondering if you could use frozen berries or do they have to be fresh? I think so! But you might want to thaw them out first. LEt me know if you try it! We love kombucha and have many scoby just waiting for us to make our next batch. We have also dabbled in ginger beer and really liked it. Looking forward to this fruity flavor. And you’re totally right… the hardest part is waiting for it to be ready! I just recently got into drinking kombucha. I definitely need to try making this at home! It looks so refreshing!! yes! I think you’ll love this Laurie! 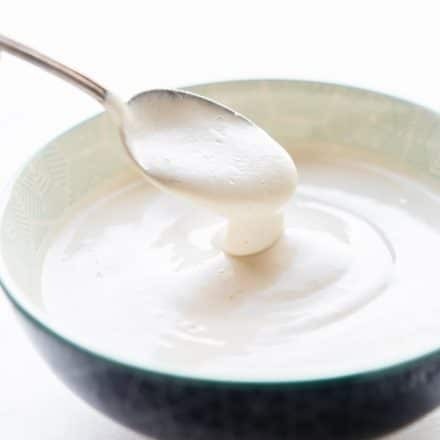 Such a yummy, natural way to get more probiotics! Perfect to sip on all summer long! 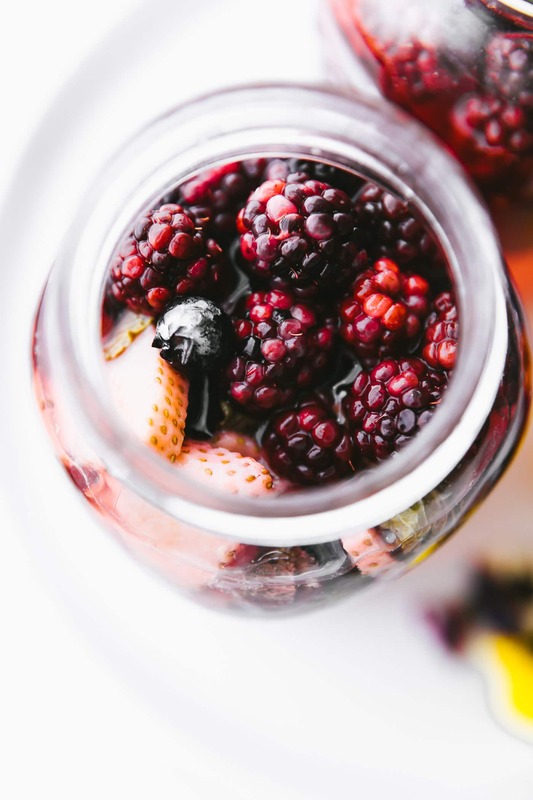 Homemade Fruit kvass with berries, lime, and mint is a fermented drink that gonna create a huge buzz in coming days indeed! 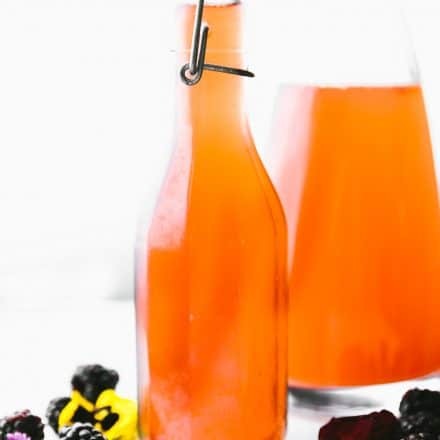 Homemade Fruit kvass drink that gonna create a huge buzz in coming days indeed! Just means it has a top. I used mason jars and then just checked the taste and let air out after a few days. If I wanted it more fizzy, I left it longer on counter after the first taste, Does that make sense? Thanks Jenny! If I don’t have any of the starters is there more of a chance it will go bad in the process? Will it not taste as good since it will have to sit longer? Do you have any kombucha or even the liquid (clear) from yogurt sitting on top? It won’t effect it that much, just wont be fizzy and will take longer to ferment. Does that make sense? Not really . It’s not fermented long enough. Kind of like kimchi, it’s just cultured. Does that make sense? A probiotic capsule will work? Obviously taking the powder out of it first! My blackberries sunk to the bottom and bubbles aren’t really forming although I did let out some air and there is definitely pressure building in there. Safe to try? Definitely taste and see if it’s fermenting. Did you add a cultured starter? Like kombucha? I did! In fact, after I let the air out, bubbles really started forming. Besides it being cloudy on the bottom of the jar, it looks pretty good! This looks so good!! Is the sea salt absolutely necessary? I’m asking because my sister just told me about kvass and how she “tweaked” the recipe she found to make it even simpler. She makes hers in a quart-sized jar, adding approx one cup of cut up fruit, 1 T. honey, and water to the top of the jar. Is the addition of the sea salt what makes it a probiotic? Or, is it the honey? Thanks, in advance, for your help. The salt isn’t necessary but it does help speed up the fermentation. 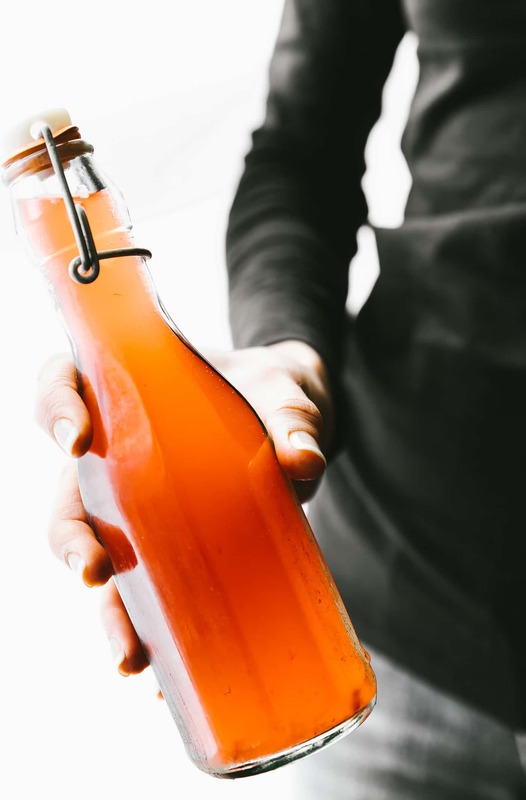 Will you be using a culture starter like the Kombucha mentioned? Happy to help! No, I won’t be using a culture starter. I have another question, I hope you don’t mind. My sister made me three quarts (her recipe, mentioned above), using only the leftover rinds/pulp of juiced oranges. One of the jars has about a half an inch, or more, of a cloudy “goop” – for lack of a better term – on the bottom of the jar; kind of what the mother looks like in ACV. Has this jar gone bad? Is there black on it? Or just a goop that’s clear/white? No black on it; just the cloudy looking goop. That’s probably just the culture, it should be ok! Did you taste it? feel free to email me as well. Thanks so much for this recipe. I was watching a Dr. Axe video and found out that Kvass is recommended above Kombucha for its higher probiotics content. I am addicted to Kombucha and have made it many times but the Kvass looks much easier and definitely faster to ferment. I am so excited to try this. Love your blog. We are big fans of Dr Axe! And I used to make my own kombucha all the time too. This is way easier. Different but still good! let me know if you have any questions Tonita! Hi Lindsay. I have made beet kvass. Can’t say I loved it, but I knew it was good for me. Make kombucha which I drink every day. It has changed my gut health for the better, so looking forward to trying fruit kvass. I have lots of frozen berries. May make a batch with some thawed berries and another batch with frozen. Will post results. HI! Thank you for sharing! I tried it, but am nit sure what it’s supposed to taste like. It came out fruity, a little bitter like beer, smells like beer also. Not very sweet. Is that what it’s supposed to taste like? There are some more fruit sediment. Do I strain these out with a coffee filter? Thanks! It should taste a little like kombucha and a little bitter, but it depends on the type of honey. Did you let if breathe a bit each day? You can strain the fruit or keep. either way! If it’s too bitter, I would add a touch more honey. Let me know if that helps! Hi LIndsay! I added a little bit more honey. It tasted so much better. Loved it! Thanks! Wonderful! So glad it worked out! Hi Lindsay, I made a quart of raspberry and a quart of blueberry. Think I want it a touch sweeter, so will add a little more honey. Added frozen berries without a problem. Used raw clover honey. Thanks. Glad it worked! And yes, honey totally can even out the taste. Good choice! I have never made kvass without rye bread and raisins, seems interesting. But wouldn’t it be missing part of the tangy, fermented taste that the bread gives it? The bread is a big part of the taste and feel of the drink, otherwise it seems great and i might try this out.